← What to do at all times. Phew!!! Is that all? Is that how we really define dreams? My definition of a dream or dreams would be, an inspiring picture of the future that energises your mind, will and emotion, empowering you to do everything you can to achieve it. 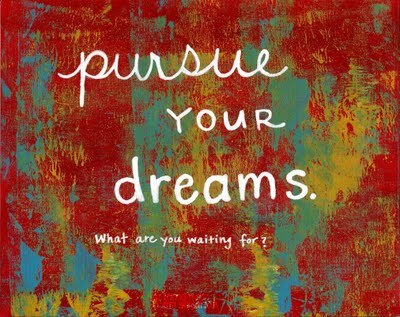 A dream worth pursuing is a picture and blueprint of a person’s purpose and potential. it is the seed of possibility planted in the soul of a human being. It calls him to pursue a unique path to the realization of his purpose. A dream is possible only if you own it. Your dream is not only a vision that compels you to follow it forward into the future; it is also a measuring tool for every day and a motivation for every effort. The accomplishment of a significant dream comes only when a person has something to offer. You are living your dream. Let’s dream on and follow hope wherever it leads because in the sea of dreams, there is promise of the dawn. This entry was posted in Value and tagged accomplishment, dreams, energy, enthusiasm, goals, propeller, target, value, vision. Bookmark the permalink. Wonderful quotes. I enjoy your posts.